Dubai: Universities in the UAE will be evaluated on a set of quality-based metrics starting this September, the Ministry of Education announced on Monday. All higher education institutions in the country will have to follow new accreditation and licensing standards in line with the National Strategy for Higher Education, the ministry said. “High quality” institutions will be “rewarded” with several advantages. Ainclude: a seven-year interval between reviews for licensing and accreditation, the opportunity to have multiple programmes reviewed at the same time, smaller evaluation teams to visit the institution during a review, shorter evaluation visits, and priority in introducing new programmes, which cuts licensing and accreditation costs by more than 50 per cent. “Lower-quality” institutions, on the other hand, will be subject to reviews every three years, with longer visits from larger external review teams, as well as more regular and extensive inspections from the ministry’s inspection department. Also, a more stringent process will be used to evaluate applications for new programmes offered by lower-quality institutions. These institutions and their programmes can also be placed under probation if their quality drops below a certain level and/or if they maintain low quality scores for long periods. This new set of standards we are launching follows the directives of our wise leadership to develop the higher education system, upgrade our academic institutions, and promote scientific courses as a means to meet the requirements of the Fourth Industrial Revolution, all while achieving the UAE’s strategic objectives and empowering a generation of qualified professionals to come up with solutions to local challenges in all sectors. The evaluation will consider the national and international ranking of an institution, its reputation, academic history, international accreditations for secured for programmes, and compliance with the ministry standards. The new standards also include improvements to address the gaps in existing standards. They outline a clearer procedure for establishing new institutions, identifying the measures needed for closing institutions and suspending programmes and clarifying violations and corresponding penalties. They also set standards for e-learning, recognising prior education, and for educational hospitals and training centres, in addition to determining the financial obligations of institutions. 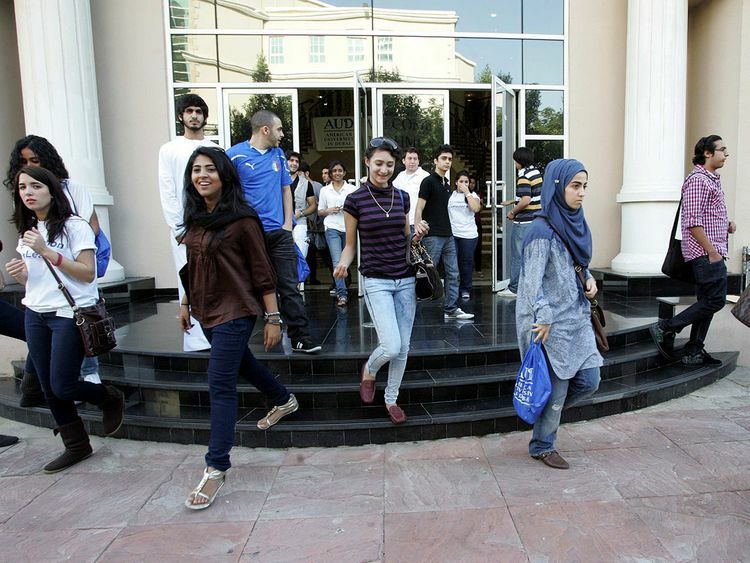 The new standards will apply to all higher education institutions in the UAE, including government universities (federal and local), private universities, specialised universities (such as those by the police and army), branches of international universities, and free zone universities. The newly launched accreditation standards serve to ensure the quality of higher education and raise awareness among both students and parents about the importance of pursuing higher education at institutions accredited by the Ministry of Education. Meanwhile, Dr Mohammad Ebrahim Al Mualla, Undersecretary for Academic Affairs of Higher Education, said: “The newly launched accreditation standards serve to ensure the quality of higher education and raise awareness among both students and parents about the importance of pursuing higher education at institutions accredited by the Ministry of Education. Al Mualla urged students and parents to ensure they enrol exclusively in ministry-licensed institutions and their accredited programmes. Dr Mohammad Yousuf Baniyas, director of the ministry’s Commission for Academic Accreditation (CAA), said the new standards seek to facilitate procedures “without compromising the quality of education”. Institutions are now required to electronically submit a brief “self-assessment report” outlining their strategy, quality assurance principles, syllabi, faculty members, educational resources, facilities, and laboratories. The ministry is currently working on launching an electronic platform in order to remain up to date on technological developments, and promote a paperless approach to licensing higher education institutions and accrediting their programmes.